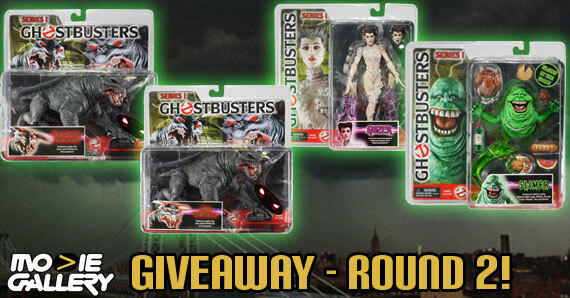 After a very successful first round of our Ghostbusters giveaway (close to 1000 entries! 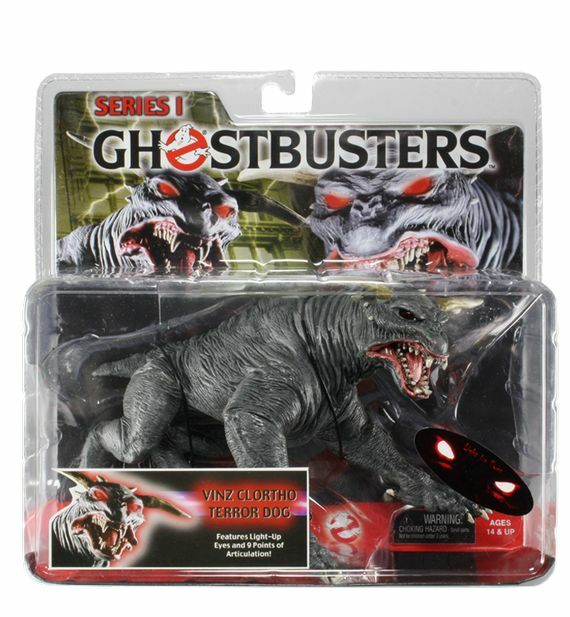 ), we’re back with MOAR Ghostbusters goodies! 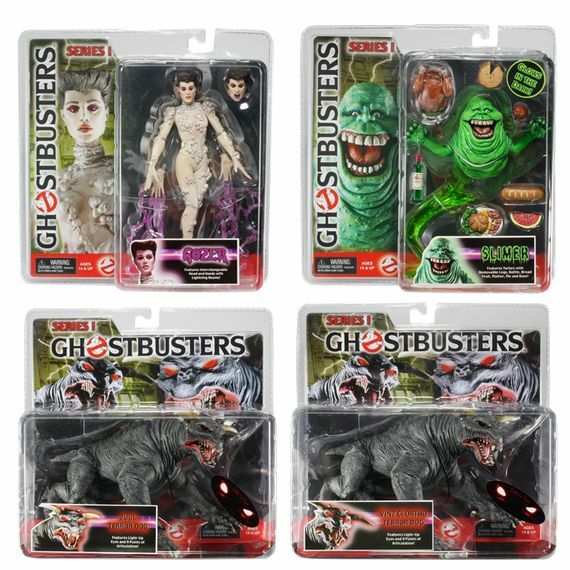 In case you missed last week, NECA was kind enough to send us 2 of each of the figures shown below, from Series 1 of their Ghostbusters action figures. These, in case you dont know, are hard to find and considerably valuable, and we’re giving all of them. First, we’ll raffle each individually and then a lucky winner gets all 4 figures! Vinz Clortho is the Keymaster of Gozer, and was a loyal minion demi-god who obeys The Destructor. Vinz is assumed to be male because he is known as the Keymaster, and possessed a man. Also, he has noticeably larger horns than Zuul, the Gatekeeper who is believed to have been female. Vinz Clortho was worshipped by the Sumerians and Hittites in 6000 BC, alongside Zuul and their master. The figure has over 9 points of articulation, and features creepily scary red eyes. The packaging has subtle shelving damage. You’ll have to answer the following question to participate: What is the name of the character that Vinz possessed in Ghostbusters? You dont need a Facebook account to join, but it makes things a bit easier. And if you’re on twitter, you can win a few extra points by following us and tweeting about the giveaway. The Rafflecopter widget can also be accessed from our Facebook page. You may enter once per day. The raffle will be up starting today, Friday, and will run until Thursday, 9/27. We’ll have a new raffle (for Gozer) next week, followed by the one and only Slimer. Once the individual figures are raffled, we’ll raffle off the ENTIRE set to a lucky winner! Have fun, and good luck to all contestants! This entry was posted in Contests & Giveaways, The MG Blog and tagged ghostbusters, ghostbusters action figures, ghostbusters giveaway, vinz clortho by mgadmin. Bookmark the permalink.